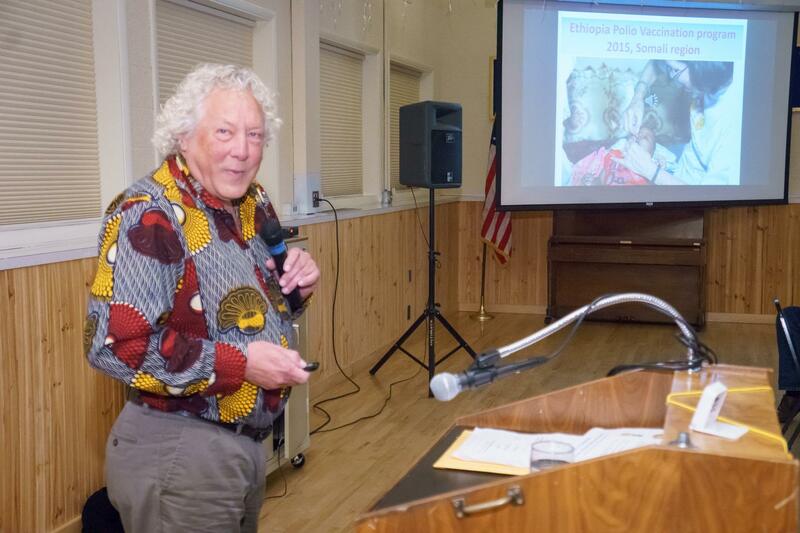 Denny Wilford, Gig Harbor Rotarian, shared his journey from surviving polio as a child to assisting those stricken in the Somali region. He wanted to not only participate in the powerful vaccination programs, but also improve the lives of other survivors. Through his slides, music, and words, he gave us a glimpse into the inspiring success of the Cheshire Home Rehabilitation Center in Ethiopia with its life-changing hydrotherapy program. People who had been crawling have become mobile, allowing them to stop begging, get jobs, and support themselves with dignity.